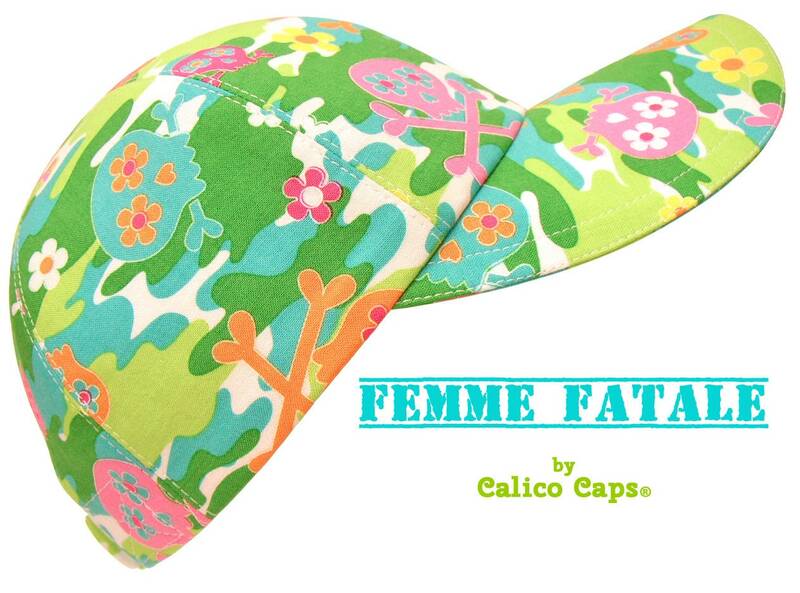 This latest Calico Cap is called "Femme Fatale" - Warning: Cuteness Overload Alert! 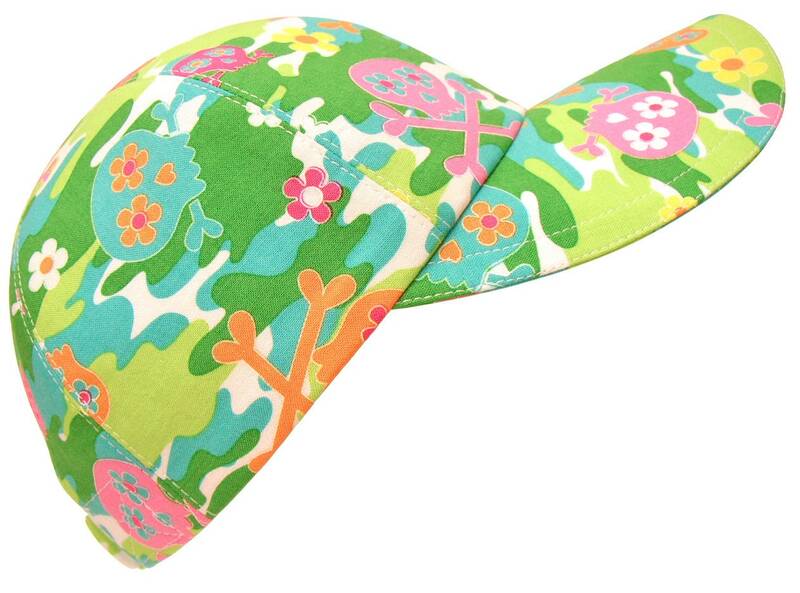 ;) This print features skulls in pink, orange and blue with eyes of flowers and heart shaped noses. The bones even end in hearts. 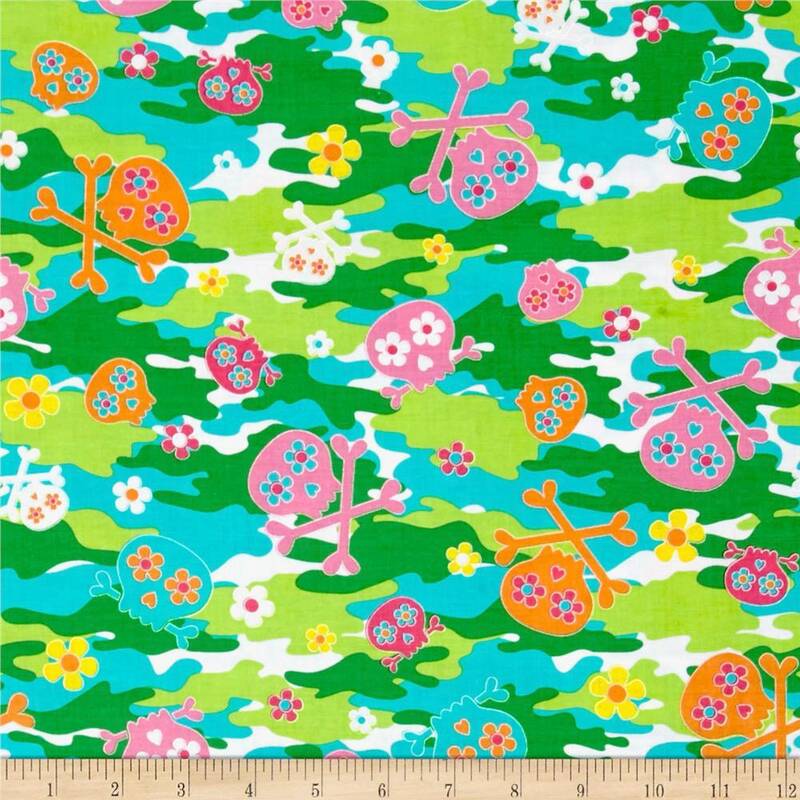 Cute little flowers in between - all on a bright, pretty camouflage background in shades of emerald and lime green, turquoise and white. 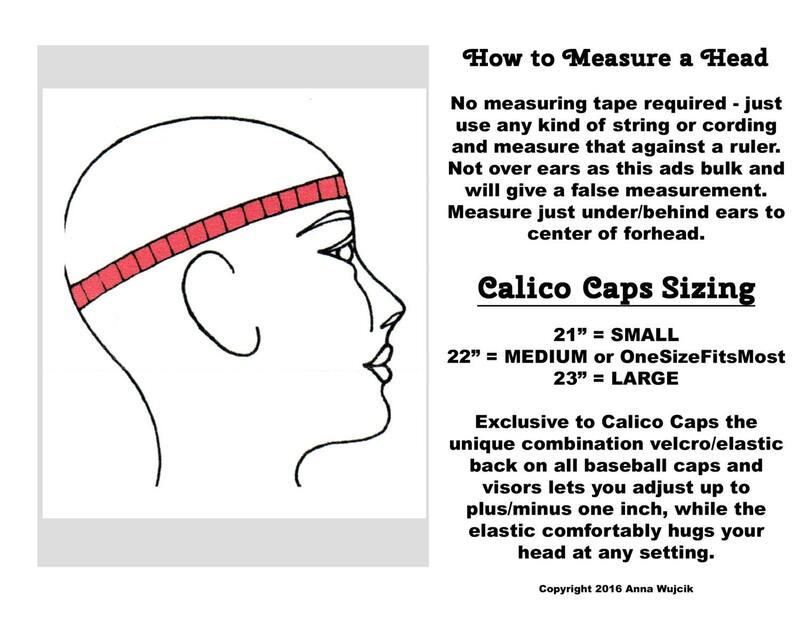 White top-stitching, apple green grosgrain band on the pretty, white-on-white cotton floral print lining.